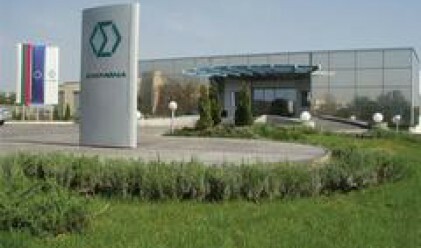 Enemona Jsc posted net consolidated profit in the amount of 11.337 mln leva (5.79 mln euros) for 2007, or 0.95 leva/share, the company's report filed with the BSE reveals. A year earlier the company announced consolidated earnings of 4.872 mln leva (2.49 mln euros), or 0.82 leva/share at a core capital in the amount of 5.947 mln leva (3.04 mln euros). Net sales revenues came to 89.491 mln leva (45.75 mln euros), which is 46.85% above 2006. On 26 November 2007 Enemona field an IPO of 2 mln new shares. The company thus hiked capital to 11.934 mln leva (6.10 mln euros). The number of placed shares represents 16.76% of Enemona' capital (after the capital increase). The company filed IPO with the aim of raising cash to fund its expansion to new business sectors – energetics, utility services and energy efficiency, as well as to acquire fixed assets, software products and other non-material assets necessary for improving the potential for management and realization of large-scale projects in the fields of energy and industry. The IPO proceeds will be used to fund the company's investment plans: energy project Lomski Lignites, investments in renewable energy sources, investments related to the construction of NPP Belene, as well as refinancing some of the long-tern liabilities of the company in order to optimize the credit portfolio and lower the interest rate and currency-related risks. 1,130 shares changed hands today at prices between 20.35 and 20.43 leva.